Great Hearts is committed to an individualized approach to college counseling that focuses on finding the right fit for each student. The emphasis of the program is on helping students discover who they are as learners and emerging adults. Great Hearts is committed to an individualized approach to college counseling that focuses on finding the right fit for each student. The emphasis of the program is on helping students discover who they are as learners and emerging adults. 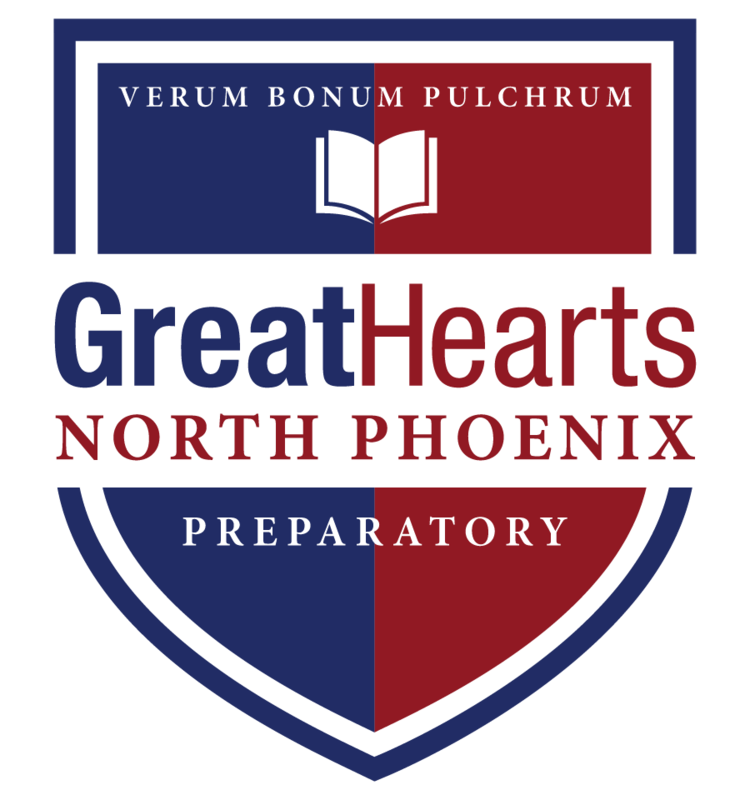 Throughout their years at North Phoenix Prep, our students learn to be comfortable in the worlds of both ideas and practicality, understanding the relationship between the two. This serves our students particularly well when selecting a college experience. Many families have asked about the most important factors in the Admissions decision, for which we turned to NACAC’s publication, the State of College Admission. Q. Why are these the most important factors? According to the NACAC report, these factors predict greater collegiate success: “Although overall GPA serves as an indicator of a student’s academic success in high school, strength of curriculum – and particularly grades in college prep courses – are better indicators of a student’s likelihood of succeeding in college” (32). Q. What is a college prep course? College prep courses are courses designed to prepare a student for continued academic study. They generally exceed the minimal requirements of state standards for education and include a heavy focus on reading and writing. Q. How do colleges know about the strength of our curriculum? In person: Direct communication via e-mail, phone, and at networking events such as NACAC. Q. What are the strengths of our curriculum? Our focus on the Liberal Arts provides students a strong, balanced foundation on which to build in college. Rather than specifying in particular fields at this early stage, all students undertake detailed study of the core subjects of English, history, mathematics, and science. All students study a foreign language for at least four years. All students undertake training in the arts, participating in poetry, art, music, and drama classes. Our practice of using Seminar in classes trains students to be active and engaged participants in education. Students learn to formulate thoughtful questions, to respond articulately to criticism or inquiry, to collaborate in the analysis and synthesis of ideas, and to form personal evaluations of ideas based upon this thorough process of critical examination. Our focus on the Great Books means that we include primary texts as models of excellence in every field. We emphasize the need to examine primary texts for ourselves, rather than relying upon the interpretations of others. Students also develop strong reading comprehension and vocabulary skills in their encounters with such rich texts. Our use of Writing throughout the curriculum and most notably in the Senior Thesis, prepares students for the writing requirements of continuing education. More importantly, writing develops the ability of students to think and to communicate clearly. How does this relate to the Honors/AP/IB course designations? Honors is a designation made by a school to indicate the level of rigor of the course. The AP and IB programs are two independently developed college preparatory programs of study. Q. Are AP and IB better than Honors? AP and IB are not considered better than honors. They are standardized and better known, which means that they convey a certain level of rigor with which the college may already be familiar. Admissions readers will tell you that they are one of many challenging curriculums found desirable by colleges. We have received excellent feedback from admissions representatives on the strength of our curriculum in preparing students for college. Most schools are looking for students to take the most challenging curriculum available to them at their school. Counselors will indicate how many of the most challenging classes each student took out of those offered by the school. Each of our students take all 20.5 credits of honors coursework offered by the school. Q. Which Great Hearts classes are Honors? Q. How does the Honors designation effect the GPA? To calculate the GPA, multiply the points awarded for each course by the credit value of the corresponding course, then divides the total by the sum of credits taken. Usually, GPA is calculated on a 4.0 scale wherein points are awarded for each credit a student takes. An A earns 4.0 points, B – 3.0 points, C – 2.0 points, and so on. This is called an unweighted GPA. An unweighted GPA does not take into consideration the difficulty of a course. Thus, a weighted system which adds 1 point to every honors course may also be used. (The NACAC report indicated that 74% of colleges that responded to the 2013 College Trends Survey report that they weight high school students’ GPAs to account for course difficulty.) Great Hearts does calculate and highlight the weighted GPA on transcripts sent to schools. To calculate the unweighted GPA, all Honors courses must be adjusted by 1 point.